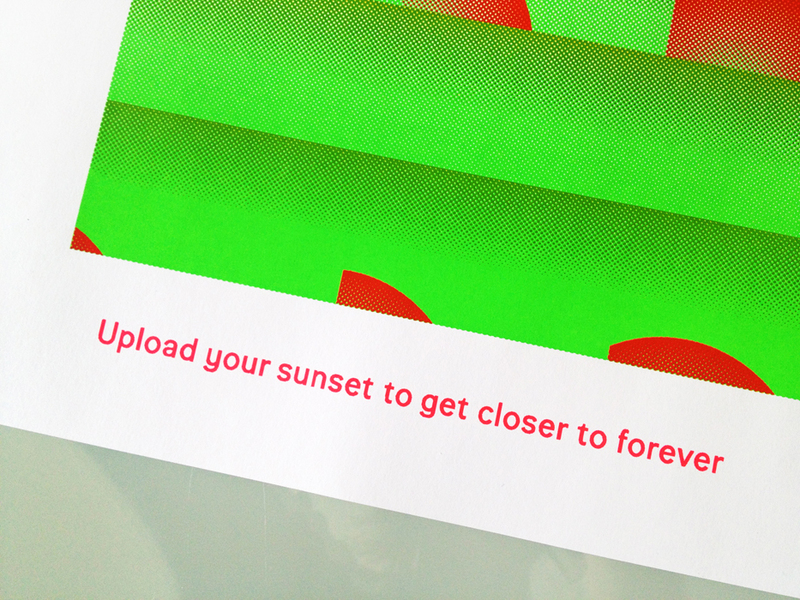 Foreversunset consists of pictures from all over the world, arranged by the suns distance to the horizon. The user takes part in the Foreversunset by uploading their image of the sun. With every image uploaded, the sunset gets a little bit closer to forever. The Foreversunset is initiated by Royal College of Art student Anton Alvarez in collaboration with graphic designer Aron Kullander-Östling and it will be presented at this year’s Salone Internazionale del Mobile in Milan at Paradise.